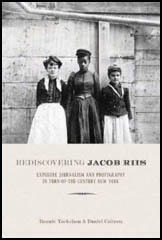 Jacob Riis, the third of fifteen children, was born in Ribe, Denmark, on 3rd May, 1849. He worked as a carpenter in Copenhagen before emigrating to the United States in 1870. Unable to find work, he was often forced to spend the night in police station lodging houses. Riis did a variety of menial jobs before finding work with a news bureau in New York City in 1873. The following year he was recruited by the South Brooklyn News. In 1877 Riis became a police reporter for the New York Tribune. Aware of what it was like to live in poverty, Riis was determined to use this opportunity to employ his journalistic skills to communicate this to the public. He constantly argued that the "poor were the victims rather than the makers of their fate". 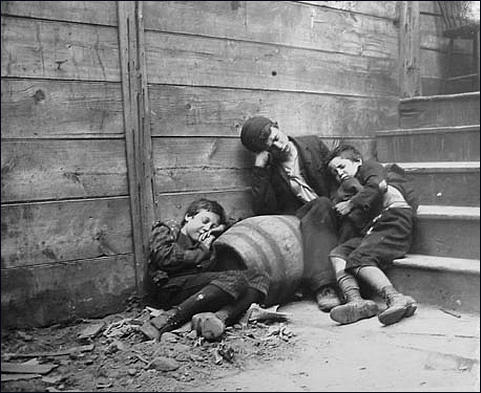 In 1888 Riis was employed as a photo-journalist by the New York Evening Sun. Riis was among the first photographers to use flash powder, which enabled him to photograph interiors and exteriors of the slums at night. He also became associated with what later became known as muckraking journalism. In December, 1889, an account of city life, illustrated by photographs, appeared in Scribner's Magazine. This created a great deal of interest and the following year, a full-length version, How the Other Half Lives, was published. 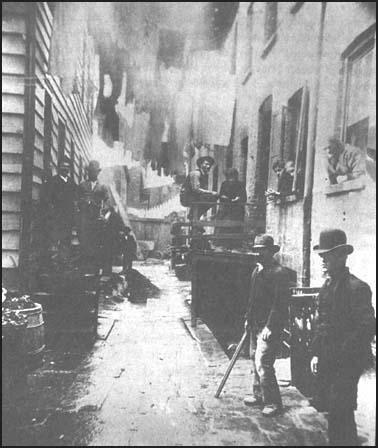 The book was seen by Theodore Roosevelt, the New York Police Commissioner, and he had the city police lodging houses that were featured in the book closed down. 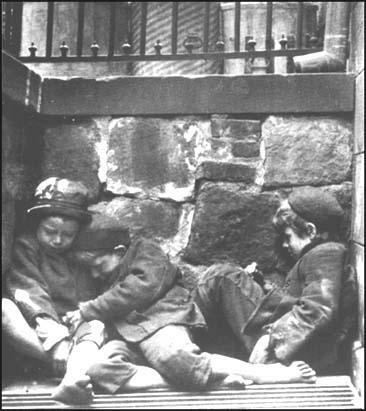 Harold Evans, the author of The American Century: People, Power and Politics (1998) has pointed out: "Jacob Riis estimated that Dickensian London had 175,816 people living on every square mile of its worst slums but New York's Lower East Side by the nineties in contrast, had about 290,000 per square mile, making it perhaps the worst slum in the history of the Western world.... He records a tenement block with 1,324 Italian immigrants living in a total of 132 rooms. In one 12-by-12-foot room he found five families, 20 people, with two beds between them. One third of the entire city population - about 1.2 million - lived in 43,000 tenement houses like these, without running water or indoor flush toilets... Some 40 percent of them had tuberculosis. One third of all their babies died before their first birthday." 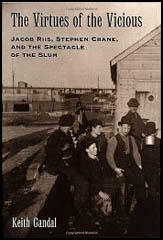 Over the next twenty-five years Jacob Riis wrote and lectured on the problems of the poor. This included magic lantern shows and one observer noted that "his viewers moaned, shuddered, fainted and even talked to the photographs he projected, reacting to the slides not as images but as a virtual reality that transported the New York slum world directly into the lecture hall." The work of Riis inspired Lincoln Steffens, the man considered to be the "godfather" of investigative journalism argued in Autobiography (1931): "He (Riis) not only got the news; he cared about the news. He hated passionately all tyrannies, abuses, miseries, and he fought them. He was a terror to the officials and landlords responsible, as he saw it, for the desperate condition of the tenements where the poor lived. He had exposed them in articles, books, and public speeches, and with results. All the philanthropists in town knew and backed Riis, who was able then, as a reformer and a reporter, too, to force the appointment of a Tenement House Commission that he gently led and fiercely drove to an investigation and a report which - followed up by this terrible reporter-resulted in the wiping out of whole blocks of rookeries, the making of small parks, and the regulation of the tenements." Riis also wrote over a dozen books including Children of the Poor (1892), Out of Mulberry Street (1898), an autobiography, The Making of An American (1901), The Battle With the Slum (1902), and Children of the Tenement (1903). 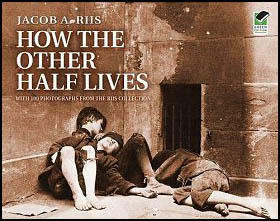 Jacob Riis died in Barrie, Massachusetts, on 26th May, 1914. What is a tenement? The law defines it as a house "occupied by three or four more families, living independently and doing their cooking on the premises; or by more than two families on a floor, so living and cooking and having a common right in the halls, stairways, yards, etc." The tenement is generally a brick building from four to six stories high on the street, frequently with a store on the first floor which, used for the sale of liquor, has a side opening for the benefit of the inmates and to evade the Sunday law; four families occupy each floor, and a set of rooms consists of one or two dark closets, used as bedrooms, with a living room twelve feet by ten. The staircase is too often a dark well in the centre of the house, and no direct through ventilation is possible, each family being separated from the other by partition. The homes of the Hebrew quarter are its workshops also. You are made fully aware of it before you have travelled the length of a single block in any of these East End streets, by the whirr of a thousand sewing-machines, worked at high pressure from earliest dawn until mind and muscle give out together. Every member of the family, from the youngest to to the oldest, bears a hand, shut in the qualmy rooms, where meals are cooked and clothing washed and dried besides, the live-long day. It is not unusual to find a dozen persons - men, women and children - at work in a single room. Jake Riis was a Danish American who "covered" police headquarters, the Health Department, which was then in the same building, and "the East Side," which was a short name for the poor and the foreign quarters of the city. And he not only got the news; he cared about the news. He hated passionately all tyrannies, abuses, miseries, and he fought them. He was a "terror" to the officials and landlords responsible, as he saw it, for the desperate condition of the tenements where the poor lived. He had "exposed" them in articles, books, and public speeches, and with results. All the philanthropists in town knew and backed Riis, who was able then, as a reformer and a reporter, too, to force the appointment of a Tenement House Commission that he gently led and fiercely drove to an investigation and a report which-followed up by this terrible reporter-resulted in the wiping out of whole blocks of rookeries, the making of small parks, and the regulation of the tenements. He had discovered these evils as a reporter, reporting, say, a suicide, a fire, or a murder. These were the news, which all the reporters got; only Riis wrote them as stories, with heart, humor, and understanding. And having "seen" the human side of the crime or the disaster, he had taken note also of the house or the block or the street where it happened. He went back and he described that, too; he called on the officers and landlords who permitted the conditions, and "blackmailed" them into reforms.